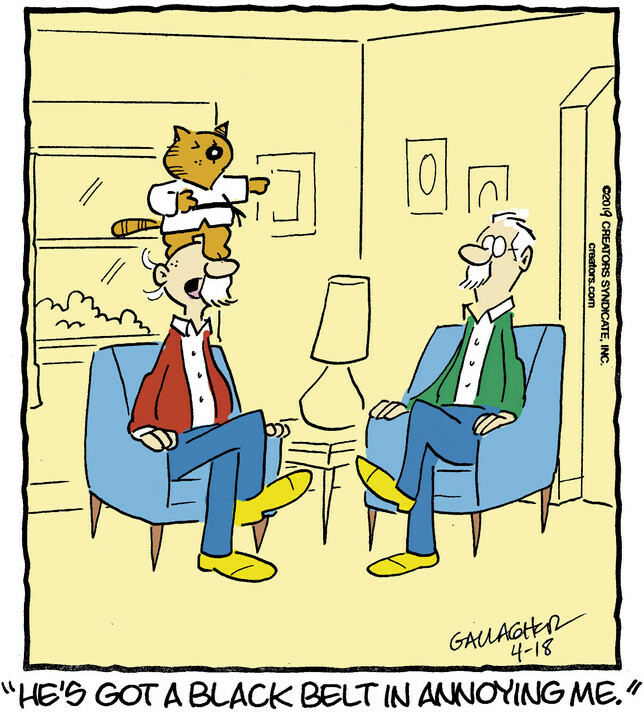 The mastery behind Heathcliff is created by Peter Gallagher and his uncles George "Gately" Gallagher and John Gallagher. After graduating from Pratt Institute in Brooklyn, Gately started his career as an artist in the advertising business. Shortly thereafter, however, he began longing for more creativity and freedom -- traits sorely lacking in his current job. Gately joined his brother drawing gag cartoons -- but his real dream was to create a comic strip. His first attempt was the well-received "Hapless Harry." 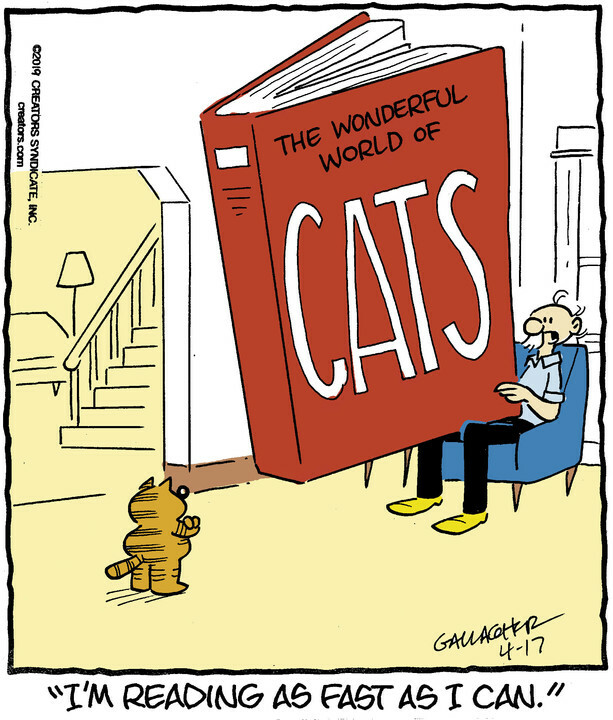 In 1973, Gately followed on his initial success with Heathcliff, the first ever newspaper comic to feature a cat as the main character. Called the "Cat of the Century" by a major cat magazine, Heathcliff has been an incredible success. The cat is loved and recognized by millions in all corners of the globe. In addition to being published in hundreds of papers, the comic has been animated in more than 80 television shows, published in over 50 books with over a million copies in print and featured in a full-length motion picture. 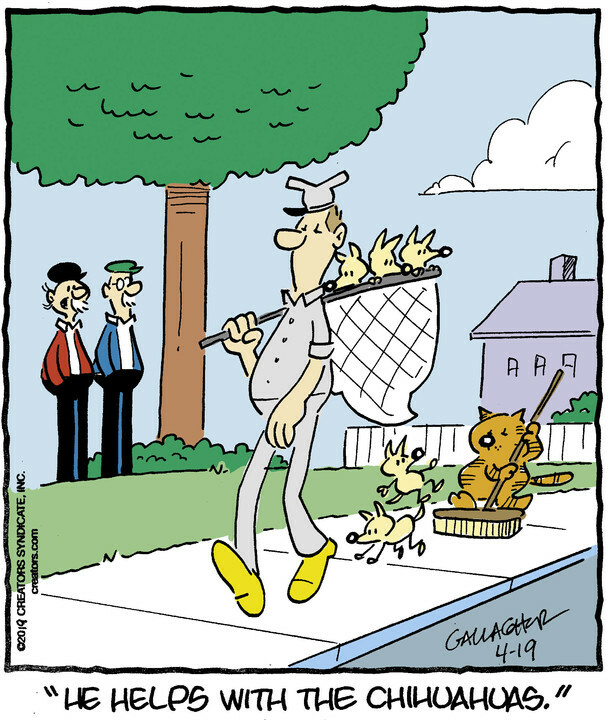 Heathcliff cartoons have even hung on the walls of the Louvre in Paris. 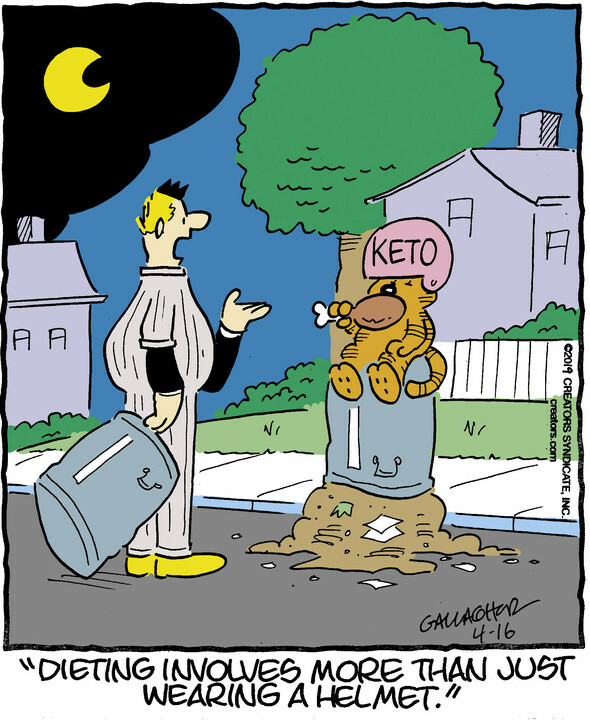 Creators Syndicate proudly represents Heathcliff to more than 1,000 newspapers worldwide.